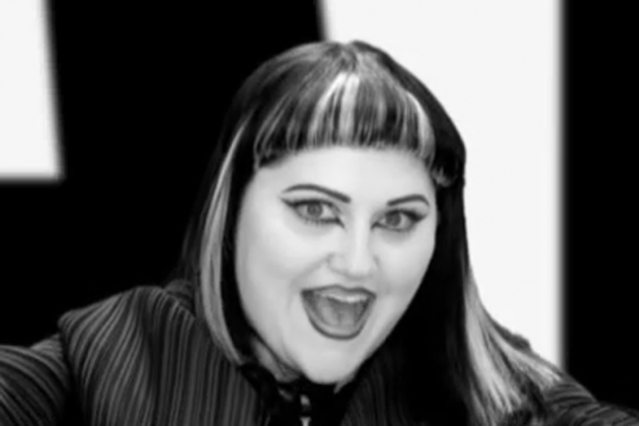 Beth Ditto is looking forward on “Move in the Right Direction,” a dance-pop ode to perseverance from Gossip’s just-released fifth album, A Joyful Noise. What she sees, to judge by the song’s starkly rendered video (via MTV), is a black-and-white world full of block-text positive slogans, stylishly choreographed dancers, and intently focused bandmates. The clip shows Ditto cheerfully performing the song, and the shock of her bold red dress eventually spreads across the backdrop to give this self-empowerment anthem an eye-catchingly White Stripes-y color scheme. What doesn’t kill you doesn’t only make you stronger, whatever Kelly Clarkson said — it makes you more endearing, too.